Gavin “Birdguts” Smith is a skilled poker professional who came to the game in his mid-twenties. While he did not grow up playing poker, he has made up for it by competing fiercely in many poker tournaments over the years. His success at the tables and lively personality has made him popular among fans and a regular on TV. Born in Guelph, Ontario in 1968, Gavin learned to play cards from his father. They played Cribbage and Rummy, mainly, and Gavin was an apt pupil. After school, he went on to college to get a Bachelor’s degree in Economics. This satisfied his interest in maths and logic. When Smith was around 26, there was a charity event held in the golf course where he worked. It was a travelling card tournament. This ignited his interest in poker and he started playing poker regularly right away. When he was on break at the golf course, he would play mixed games of poker with his co-workers. In 1996, Gavin Smith started work as a dealer. He even set up a poker club of his own in 1998. It was just a year later when he decided to strike out and start his career as a professional poker player. He went to the World Poker Finals right away and started with a bang. Smith won the No Limit Hold ‘em event in the 1999 World Poker Finals at Foxwoods Resort and Casino. It was a good start, but the next year, he was back to the same tournament again. This time, in 2000, he won the Seven Card Stud event. 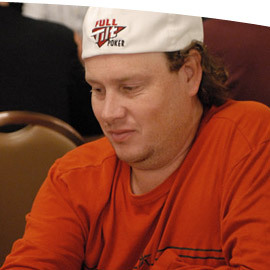 Gavin Smith first cashed in the World Series of Poker in 2003. In 2004, he cashed in the WSOP No Limit Hold ‘em Main Event at 52nd place. He made money again in the WSOP tournament in 2005. He was getting to be a regular at the WSOP events. In 2005, Smith had a major victory. He won the World Poker Tour Mirage Poker Showdown in Las Vegas with a pay day of over $1.1 million. He followed this by coming in third in the WPT 2nd Doyle Brunson North American Poker Championship. This was his second major final table in a year. Then, in the beginning of 2006, Gavin Smith made a third final table at a WPT event. This prompted the WPT to honour him with the Player of the Year Award. This was just the beginning of the year. There was more to come. Later in 2006, Smith won the World Pro-Am Challenge. The money for that event was $500,000. More importantly, Smith had garnered a good deal of respect for winning that event. Finally, Smith finished second at the WSOP Circuit event where he won over $290,000. 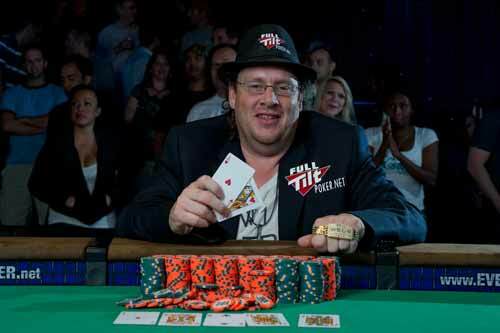 In 2007, Gavin Smith finished second in a Pot Limit Hold ‘em competition for a cash of $155,000. He also made $125,000 in the NBC Heads Up Poker Championship by finishing fourth. His total winnings so far exceed $3.1 million. Gavin finally broke his duck at the World Series of Poker by winning a bracelet in the 2010 $2,500 Mixed Holdem event winning $268,238 and beating a field of 507 players. He proudly represented his Canadian roots at the final table where 6 out of the final 9 players where from fierce rivals the USA. His total career earnings are $6 million which puts him amongst the most successful Canadian Poker players alongside other notables such as Daniel Negreanu and WSOP Main Event champion Jonathan Duhamel. Away from the felt, Gavin Smith is keeping busy as well. He plans to work on an instructional poker DVD. He also led some top pros in a charity event to help a struggling family. If you see this avatar on Full Tilt Poker then you are playing with Gavin Smith! He has a show on Raw Vegas.tv called “Prop Bets.” In it, he and Joe Sebok make crazy propositional bets with each other for wild consequences. When he has time, Smith plays online poker with his fans at Full Tilt Poker where he was formerly sponsored by them. 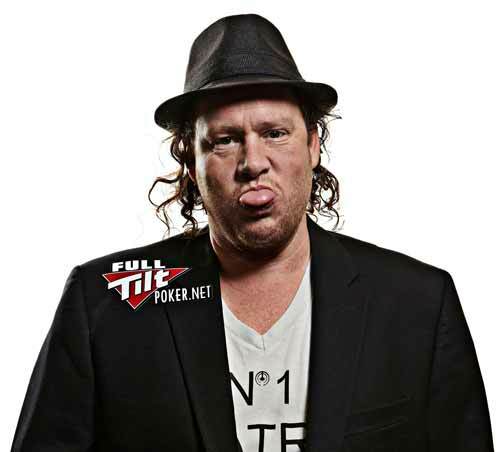 Want to Chat and Play Poker with Gavin Smith?